And God has given us many, such as his grace-the gift we don't deserve and can never earn. Promises from the One who declares we are already loved, already accepted, already created in his image. The question becomes, will we truly receive that gift? Will the reality of it actually change the way we think and notice and reach out? God's Word will stand forever, in any season of life. These truths prompt us to respond with compassion and courage. 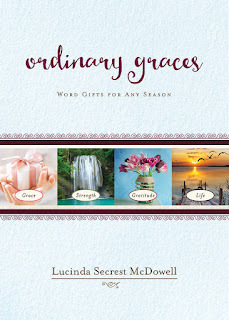 Through inspiring devotions, Lucinda Secrest McDowell reveals biblical blessings that remind us that: God's promises give us strength, God's grace can be most evident at our weakest points, a proper response to our abundance of blessings is simply gratitude, and the "more" we are all looking for is the same abundant life that Jesus came to give us. Would you like to receive these gifts of ordinary grace? 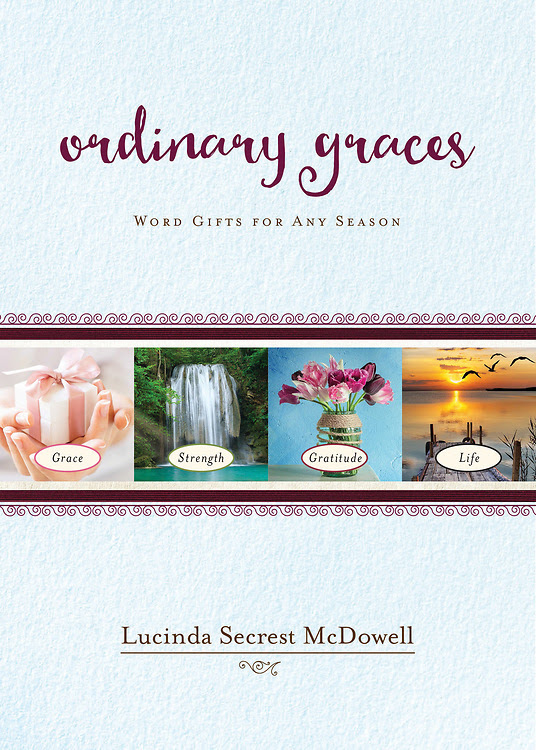 Join Lucinda in focusing on one word a day through devotional readings and short benedictions for any and every season to explore the many facets of Grace, Strength, Gratitude, and Life. Lucinda Secrest McDowell is passionate about embracing life - both through deep soul care from drawing closer to God, as well as living courageously in order to touch a needy world. A storyteller who engages both heart and mind, she offers "Encouraging Words" to all on the journey. 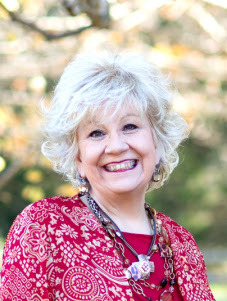 A graduate of Gordon-Conwell Theological Seminary and Furman University, Cindy is the author of 13 books, including "Ordinary Graces," "Dwelling Places," "Live These Words," "Refresh!," "Quilts from Heaven" and "Role of a Lifetime." Whether co-directing the "reNEW - retreat for New England Writing," mentoring young moms, or leading a restorative day of prayer, she is energized by investing in people of all ages. Find out more about Lucinda at http://EncouragingWords.net. This is such an uplifting book. It seemed each and every page was filled with things I needed to read. This book is divided into four sections - Grace, Strength, Gratitude and Life. I started reading in the strength section because that's what I felt I really needed at this time. I was so encouraged by each and every word. After this section, I went back to the beginning of the book and read through without hardly setting the book down. There are so many Scriptures to meditate on and apply to our life. I loved how she took the Scripture and had a story to go along with it. At the end of each section, there is a few lines of how God feels about us. This was very uplifting. This would make a great devotional, however, I really enjoyed just reading it through. It would make a great gift to anyone who is going through hard times or as an encouragement to anyone. There is definitely something for everyone in this book.